The Dark Ranger: Could Broadway be calling again? There seem to be some rumors circulating out of Philly that Brendan Shanahan not accepting an offer from the Flyers, saying the he will play for the Devils or Rangers. Who knows if this is pure speculation on Shanny's behalf that either club is in the market for his services after deciding to play one more season or.. if he has indeed spoken to Reps from each club that have confirmed the interest. The proverbial door swings open yet again? It wasn't too long ago that Shanny seemed to be getting the runaround from Sather on whether or not he could be signed to play in New York. Finally after missing half a season, Shanny returned to where he started... in Jersey. (Forgive us, Shanny). It remains to be seen if we have actually shown interest... but in the interest of getting the most of my door analogy (humor me, I'm still in the deep stages of Hockey withdrawal)... I will say the door swings both ways. - On the negative side. Yet another year older, Shanny's hardly built for the fast paced attack style that Torts is pushing in an effort to get some offense out of this club. There will be young legs abound in camp and perhaps a seemingly endless amount of energy. Hardly a comfort zone for the aging vet. Plus could you really imagine Brashears and Shanny swapping recipes while gearing up for the game? - On the positive side. With all the young legs, come young minds... and a veteran presence could be the best thing for the development of these young kids. Now I would like to say we have plenty of that.. but I can't really do so with a straight face as I recall the endless string of clutch jokes and sarcasm that trailed Drury like a Rattling Chain in the afterlife. Ever since, captain clutch made the infamous, "I won't let a losing streak ruin my holiday" remark... Many fans have turned on the somewhat timid captain. That leaves just 7 million dollars worth of Wade Reddens leadership influence and veteran presence *wince* and our newest role model, Mr. Brashear. We have a hard coach that wants honesty and gives honesty (however painful) to his players. 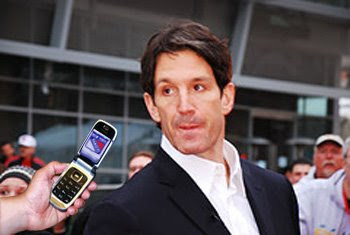 If theres one thing, you could count on Shanny for, it was an honest assessment in the post game. Could Shanny be Broadway's answer to Tort's Tampa version of Andreychuk? Who knows? When the dust clears on this season, I say it would great to have someone like Shanny in the organization bringing these kids along after this season. Not in the swell guy sense, that we have Ranger Alumni staples Gilbert, Graves, Dugay and others... but in the Hockey sense. 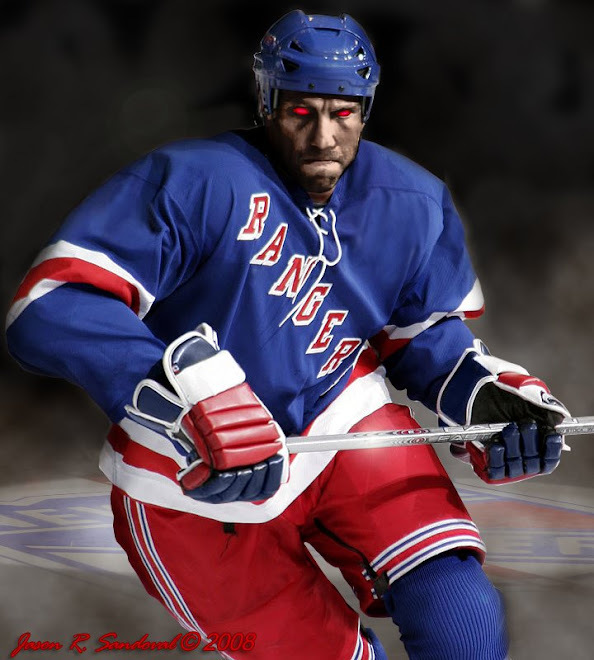 Not that the formers don't have the hockey sense, but they have been long removed from the ice and their personas have overshadowed their once legendary desire and hunger for a Stanley Cup. I think Shannys got a lot to teach and pass on from his mentoring under Bowman and others. Perhaps the 1 Million, it would take to give him the head start of a season on the ice (limited TOI, of course) with these kids, will be worth it in the long run.